with waterfalls & pools creating a spectacular showcase. 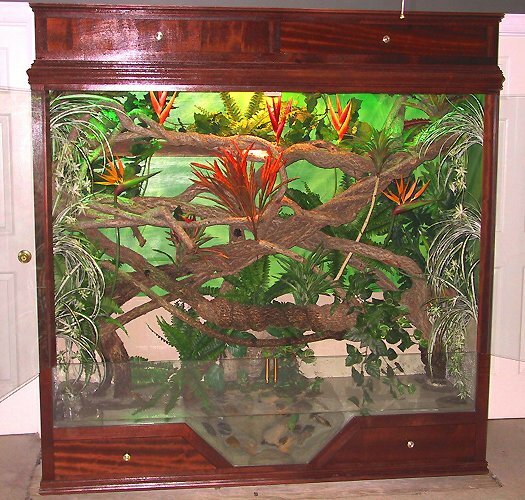 enclosures can have the ability of containing water pools and fountains. 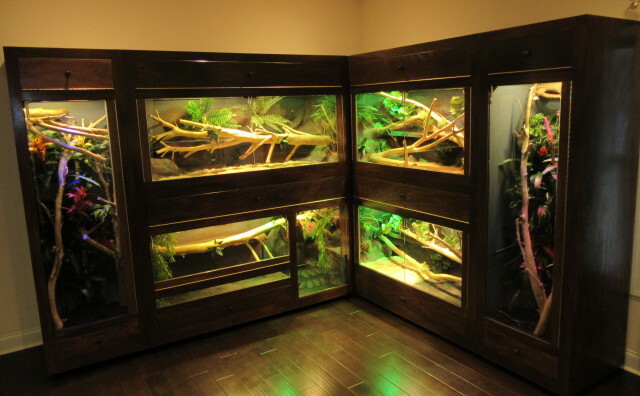 Jworlds was shown on "Animal Cribs"
"You can see more of the enclosure shown below here"
Glass aquariums have not always been the ideal way of housing reptiles. 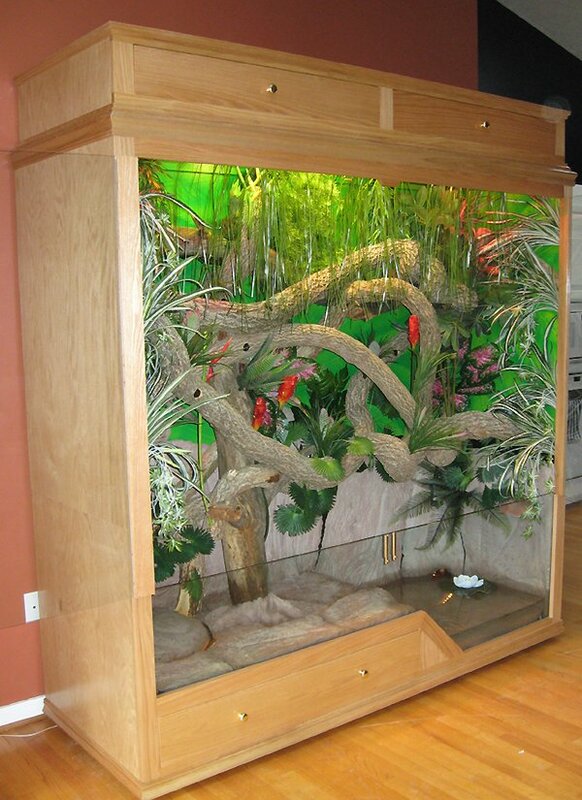 This is because most reptiles need to climb, spread out & bask acquring more space. In addition, many need humidity and the option to swim & soak. 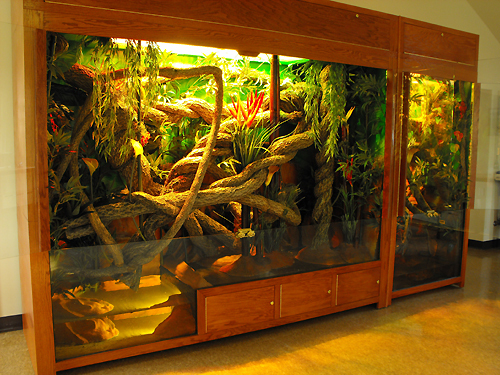 One of the most important factors for a healthy reptile cage is a clean environment. Waste management can be challenging, very messy and develop strong odors. 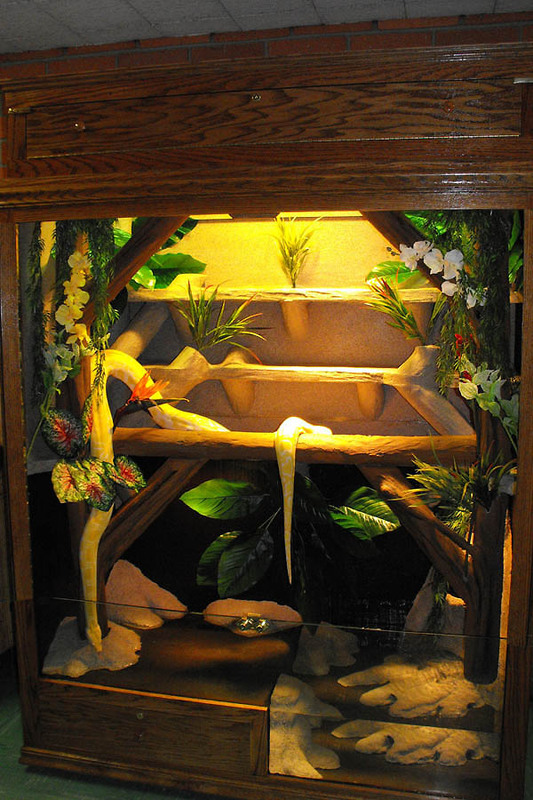 With our experience, most reptiles like to defecate in the water if the option is there for them to do so. If they have this option, they always seems to gravitate to it. So this actually works out to our advantage because it can be rinsed & flushed out later. 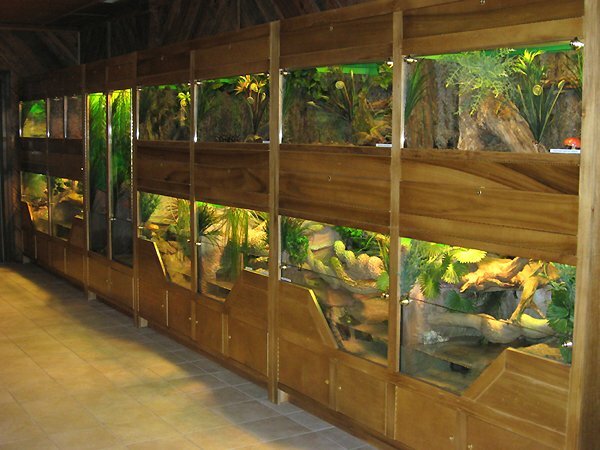 Jworlds is a small family business that has been running since 1997. 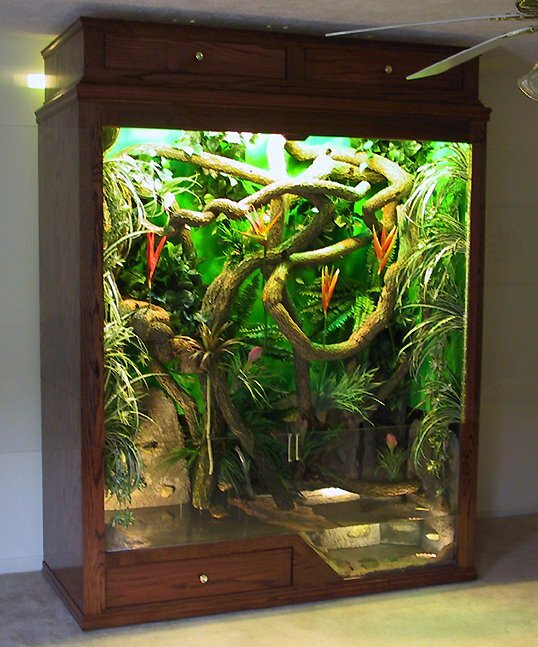 Since then, we have focused our attention on creating unique reptile cages for small exotics, specifically reptiles. We are passionate about these animals & feel they deserve the best home possible. We not only can deliver these to you personally, but will set them up and introduce your animals before we leave to ensure you are satisfied with your new product! Having the the option to rinse & flush makes maintenance quick & efficient. 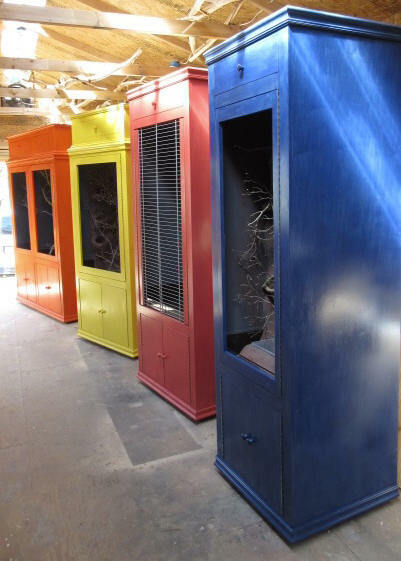 Aesthetically, it provides a spectacular conversation piece. 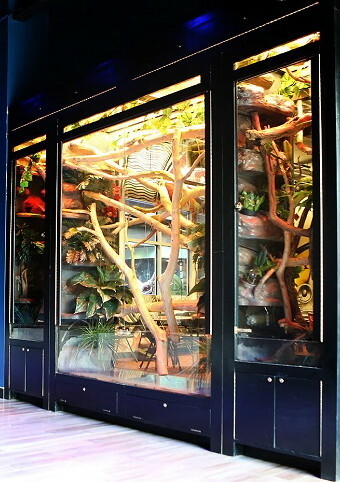 What makes J.worlds so special compared to other reptile cages? 15.) 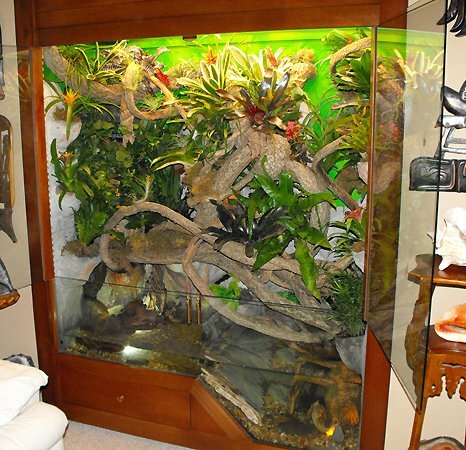 It makes for a great conversation piece for the home or business!